Posted August 18, 2016 & filed under Uncategorized. 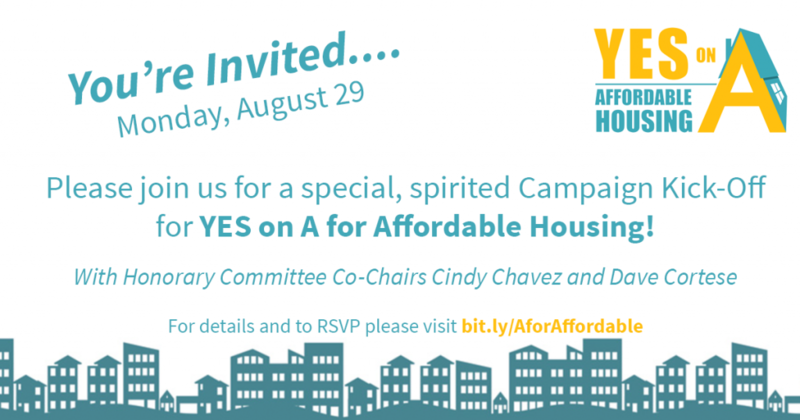 Please join us on August 29 for a special campaign kick-off celebration. Learn what the campaign is up to and how you can get involved to make a difference for our community. There will be music, a photo booth and even a piñata! The kick-off will be held at the Elks Lodge in Santa Clara (1680 Martin Ave).